Mesut Ozil has fallen out of favour under Unai Emery to such an extent that he could be sold this summer to free up space on Arsenal's wage bill. The German has played in just one of Arsenal's last seven Premier League matches, and wasn't even in the squad for Saturday's win over Huddersfield, with an illness given as the official reason. ​Ozil's weekly earnings are in excess of £300,000, putting him second behind only former teammate Alexis Sanchez on the list of the Premier League's highest earners, and ​Arsenal cannot afford to spend that sort of money on a benchwarmer. However, those wages could prove prohibitive in attempts to sell Ozil. ​The Mirror reports that ​Inter have rejected the chance to sign the 30-year-old at a cut price. I Nerazzurri have been linked with Ozil for a number of months, but their interest has cooled lately, with the player's 'very disappointing performances' given as a reason for that. ​Calciomercato claims that Ozil was also offered to ​Juventus under similar circumstances, but with out-of-contract Gunners star Aaron Ramsey already bound for Turin, the Serie A champions have no interest in his teammate. 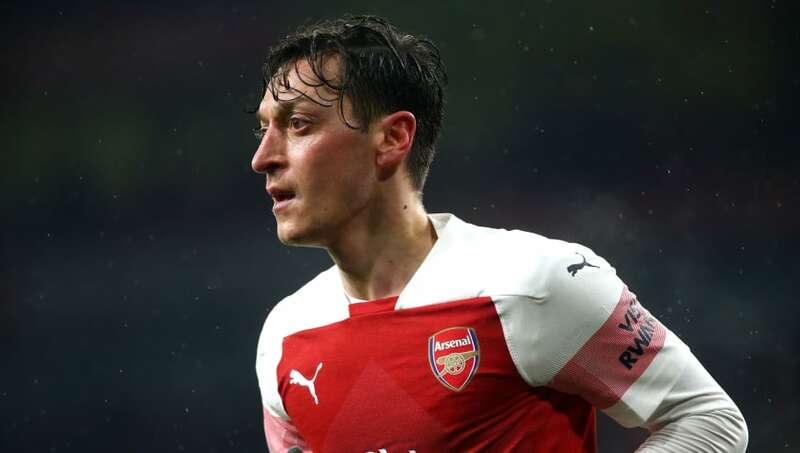 Ozil has made more than 200 appearances for Arsenal since they signed him from Real Madrid in 2013, and has frequently been among the Premier League's top assist makers, with 55 in the top flight. Despite this, he is often used a scapegoat for Arsenal's failures, and his eye-popping pay packet has raised expectations to a level which he has not been able to consistently meet.